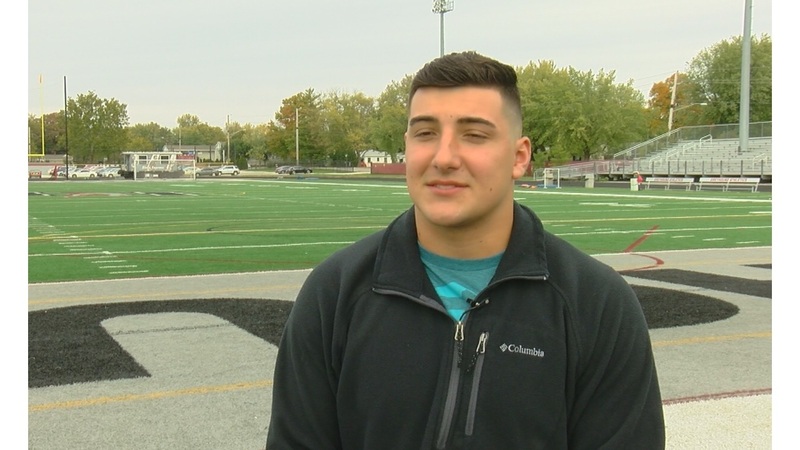 Samuel Schoonveld is a freshman on the football team at the University of Indianapolis. In the spring he was diagnosed with something he never expected after going through in-depth screening as part of UIndy Athletics. "I've been blessed my whole life because I was always just go, go, go. The fact that I never had an incident is just amazing," said Samuel Schoonveld. The diagnosis was Long QT syndrome, a genetic and electrical abnormality of the heart. Experts believe that about 1 in 7,000 people have the condition but it often goes undiagnosed, according to the National Heart, Lung, and Blood Institute. "People with this disorder can go their whole life and never have a problem. They can have a problem once, they can a problem when they're teenagers. They can have a problem when they're 50. Lots of things factor in what can put someone else at risk," said Dr. Michael Emery who is a Cardiologist at Indiana University Health. What makes the condition so scary is often times the first and only symptom is sudden cardiac arrest. "It's a genetic disorder so it impacts potentially multiple people in his family and putting them all at risk. The good thing about Long QT is that we can mitigate that risk with some medications and then also provide education to him and his family," Dr. Emery added. The Schoonveld Family went on to do further testing, specifically genetic testing at IU Health and found out the syndrome originates from Samuel's father Alan Schoonveld and his side of the family. The testing found that Alan Schoonveld, Samuel, Samuel's two sisters, and about a dozen other family members have Long QT. "It was very scary to come to that realization and then you know, a lot of thanking of the man upstairs that nothing had happened up to this point. It did not seem to effect me as much probably because, you're always more worried about your kids than you are yourself as a parent," said Alan Schoonveld.